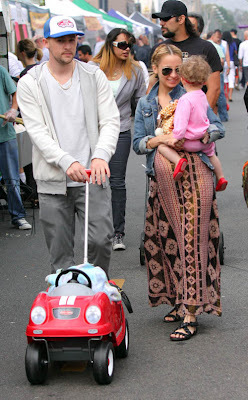 Nicole Richie, Joel Madden and Harlow Madden where spotted out and about on 10th May. Harlow has a cute new red car! Nicole Richie wore her Paige Premium denim jacket matched with a pretty maxi dress and tough gladiator style sandals.